BBL Fleet is a nationally recognized fleet management provider. Their corporate vision provides the right blend of customer service and industry-leading technology to manage fleets at their highest efficiencies. That's why BBL Fleet has been able to form long-lasting relationships with some of the most recognizable corporate partners throughout North America. 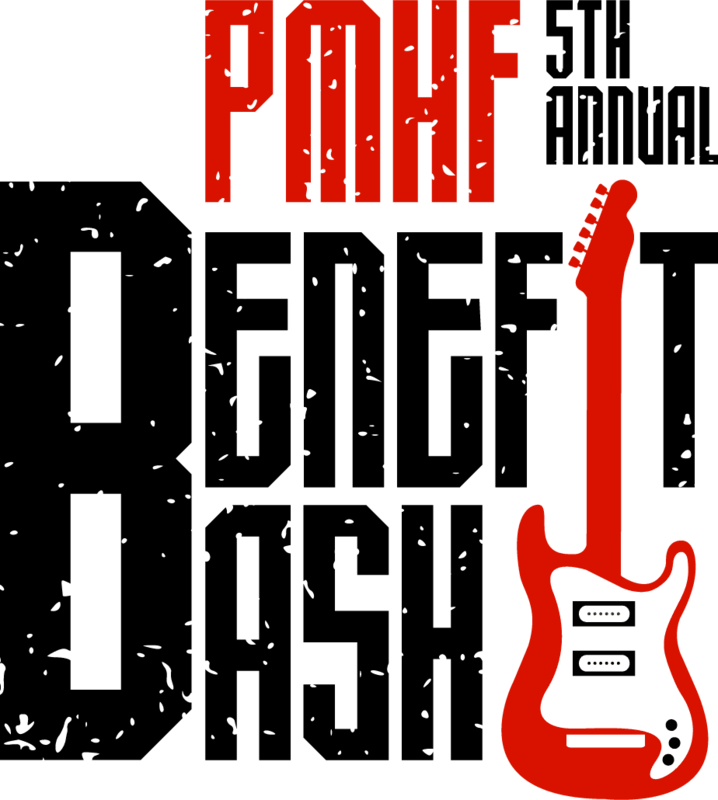 F.N.B. Corporation (NYSE: FNB), headquartered in Pittsburgh, Pennsylvania, is a diversified financial services company operating in seven states and the District of Columbia. FNB's market coverage spans several major metropolitan areas including: Pittsburgh, Pennsylvania; Baltimore, Maryland; Cleveland, Ohio; Washington, D.C.; and Charlotte, Raleigh, Durham and the Piedmont Triad (Winston-Salem, Greensboro and High Point) in North Carolina. The Company has total assets of more than $33 billion and approximately 400 banking offices throughout Pennsylvania, Ohio, Maryland, West Virginia, North Carolina and South Carolina. FNB provides a full range of commercial banking, consumer banking and wealth management solutions through its subsidiary network which is led by its largest affiliate, First National Bank of Pennsylvania, founded in 1864. Commercial banking solutions include corporate banking, small business banking, investment real estate financing, government banking, international banking, business credit, capital markets and lease financing. The consumer banking segment provides a full line of consumer banking products and services, including deposit products, mortgage lending, consumer lending and a complete suite of mobile and online banking services. FNB’s wealth management services include asset management, private banking and insurance. The common stock of F.N.B. Corporation trades on the New York Stock Exchange under the ticker symbol “FNB” and is included in Standard & Poor’s MidCap 400 Index with the Global Industry Classification Standard (GICS) Regional Banks Sub-Industry Index. Nimble. Entrepreneurial. Resourceful. Qualities you want in your lawyers. Fox Rothschild has grown to a 900-lawyer national law firm with 27 offices by focusing on client service and responsiveness, and by attracting bright and creative lawyers who know how to deliver. In a word, by listening. Listening to our clients. Listening to our lawyers. We give our clients the focus and service of a boutique – with the reach and resources of a national firm. We provide our lawyers with a national stage and equip them with the platform to nurture innovation and drive client success. Individuals and businesses – public, private and nonprofit; startup, family-run and multinational – receive our unwavering commitment to client satisfaction. Happy clients. Better lawyers. We like the sound of that. DILLON McCANDLESS KING COULTER & GRAHAM, L.L.P., has been providing legal expertise and dedicated service to our clients for over a half century. We are a multi-purpose law firm that offers a comprehensive range of services in civil law and civil practice including litigation, business development, domestic relations, corporate, labor, real estate, zoning and land use, decedents’ estates, personal injury, municipal and school law. Horizon Information Systems, Incorporated, provides integrated software solutions to the public sector. Horizon Software products are designed to meet the specific needs of Public Housing Authorities, Human Services Agencies and Community Non-profit Organizations. Horizon supports these solutions with a constant level of service, dependability and direct public sector experience that sets Horizon apart from other solution providers. Gleason is committed to providing honest, independent, objective opinions on financial and economic issues, supported by thoughtful, thorough analysis and relevant, reliable data. Our unmatched experience and integrity repeatedly produce results that withstand detailed – and often ruthless – examination. Since 1988, our clients have found exceptional value in our insights. We are a trusted and proven partner in disputed, high risk scenarios that require specialized valuation and financial analysis. Thousands of clients across the nation rely on our proficiency in accounting, tax, finance and economics. Our seasoned professionals hold credentials including CPA, CFA, CFE and MBA, and their expertise is widely recognized. Trust Solutions by True Link For Pooled Trusts Automate your trust back office with software and wealth management designed with your needs in mind. Our services include asset management, sub-account administration, disbursement tracking, records maintenance, spending plans, cash management and more! For Individual Trusts We provide individual trusts the same robust software and our wealth management team works one-on-one with clients to understand their specific needs and customize a strategy that's tailored to meet every financial goal. Our clients have come to count on Amcom for the most cost effective solutions for services, hardware, and software that improve workflow and return dollars to the operating budget. Trusted leaders, we have been servicing the Greater Pittsburgh Area and parts of Pennsylvania, Ohio, and West Virginia for over 35 years. The Kristopher King Foundation is a non-profit 501(c)3 organization that works to increase pediatric organ donation through education and awareness. The foundation also provides financial assistance to recipients’ families with out-of-pocket expenses for food, parking, etc. to ease their financial burden. The passing of a child is tragic, and nothing can lessen the pain. Through organ donation the child lives on by sharing life. As adults we have all contemplated whether we would be an organ donor. What if the decision involved the life of your child? Before you ever need to consider organ donation for you and your children, talk to your pediatrician. Educate yourself and your family regarding pediatric organ donation. Leaders in accounting and consulting since 1946. Arnett Carbis Toothman (ACT) provides forward thinking companies and businesses an array of class-leading services, supported by nearly three quarters of a century of accounting and consulting experience. ACT team leaders and associates are well regarded in their fields and adept at pinpointing and executing the most efficient and cost effective services necessary to maintain the rhythm of your business. Located in the heart of Pittsburgh, in the historic Gulf Tower, JonesPassodelis, PLLC, was founded on the premise that every client counts and results matter. Our clients are leading institutions and cutting edge businesses representing a wide variety of industries and sectors. They range from individuals and small private entities to local governments, and from large healthcare providers to specialized medical device manufacturers. We work together with our clients to identify the right solution and to pursue it both aggressively and efficiently. Utilizing current technology, and capable of serving clients nationally, regionally, and locally, the firm relies on an integrated team approach with specialized experience and talents to counsel clients and represent them as necessary through negotiation, resolution and, when needed, litigation. Valley Waste Service is proud to serve Beaver, Lawrence, and Allegheny counties, as well as Robinson, Stowe, Kennedy, Moon, Bridgeville and parts of southeast Ohio. Our courteous and knowledgeable personnel are just a phone call away. We are well known for providing reliable and cost-effective service, a reputation that has earned a loyal customer following. Our Philosophy The Agency and our staff shall operate and furnish services in compliance with all applicable federal, state, and local laws and regulations and disclosure and ownership information. To the best of our knowledge, based on our Quality Improvement Program and professional personnel practices, the services we provide comply with acceptable professional standards and principles. Our Mission We, the management of Gallagher Home Health Services will deliver our care and services with uncompromising integrity, competency and professionalism, and will be recognized by our patients, physicians, health care professionals and the communities that we serve as the “Best Home Health Care Provider” in Southwestern Pennsylvania. We are dedicated to promoting the physical and emotional well-being of our patients and all who come in contact with our agency. Because of this commitment, we strive to demonstrate our belief in the dignity and worth of each individual and respect our patient’s rights. Josh Birt started his career in video production after graduating from the University of Pittsburgh in 2005. After working as a freelance DP/Editor for several well-known production companies in Pittsburgh, Josh started his own production company, Josh Birt Media Productions, in 2009. Since then, Josh Birt Media Productions has grown into one of the top video production companies in Pittsburgh and continues to expand, working with some of the top companies in Pittsburgh and around the country. They think strategically about their client’s desired outcomes and find new ways to creatively solve problems and accommodate to client’s budgets. Josh Birt Media Productions is a full-service video production company offering services in all aspects of production. We are also an equipment and crew source for companies who need help with their video shoots in Pittsburgh and in the surrounding areas. We can supply lighting, grip and camera packages that can go out in our 2015 Ford Transit vehicle. When you get one of our packages, you’re gaining access to the top equipment, services and, video crew in the industry. The mission of EHCA is to assist people with disabilities to live rich and fulfilling lives. To fulfill this mission, EHCA provides compassionate, therapeutic, and medical support to individuals of all ages and all levels of disability while enabling them to live with purpose and dignity. We provide opportunities and choices for individuals to grow to their full potential, coordinating services that maximize ability and participation in a variety of community settings. Our Mission: To provide Tri-State area residents with top quality products at affordable prices backed by dependable service…that’s our promise to you! Arnold Furniture is proud to serve the Allegheny-Kiski Valley for over 42 years. The family has dedicated their time and talent to bringing well-made, long lasting furniture to homes in the area. They are active in the community and supportive of other businesses serving this region. It’s important to them to provide quality furniture and comfort for everyone who enjoys shopping a local family owned business. With a commitment to service, feel free to stop by our store and see what so many others know. Arnold Furniture is the place to shop for all your furniture and accessories. What makes BLACKBURN'S different? Our level of care... CUSTOMER CARE BLACKBURN'S customer service provides referral sources and patients with a streamlined method of placing multifaceted orders through one phone call. Realizing that your time is in demand, our goal is to reduce the amount of time needed when calling in an order. Additionally, we will confirm everything is in stock before you hang up the phone.If a shorted item is evident, you may immediately decide if a substitution is warranted. Comprehensive ordering results in comprehensive service and our customers, patients and caregivers have taken notice. Immediate 24-hour Emergency Service BLACKBURN'S delivery and service technicians set up and train the patient and caregiver on the proper operation of home medical equipment Delivery available through BLACKBURN'S mobile fleet or via UPS. The Joint Commission encourages patients having concerns or complaints about safety or quality of care being provided by BLACKBURN'S to bring concerns or complaints first to the attention of BLACKBURN'S management. Welcome to NexTier Bank, a dynamic combination of several longstanding community banks – Eureka Bank, Farmers & Merchants Bank of Western PA, Manor Bank, and NexTier Bank. NexTier Bank is one of the few banks that can stand behind its original message of being Locally Owned and Operated. As the oldest bank in both Armstrong and Butler Counties, NexTier’s history of safety, soundness and community involvement spans generations. Our banks have been through war and peace, depressions, and recessions. We have seen the local community progress over the years and have been privileged to serve some of the finest people in Western Pennsylvania. We have served customers from the same location for more than 100 years. Our organization has played a pivotal role in the development of industry and commerce in Armstrong, Butler, Allegheny and Westmoreland Counties. A history of excellence, a partnership with our communities, a legacy of success. With over 350 years of combined experience, NexTier offers a new vision of community banking. We bring a relentless desire to provide world class service, innovative products such as mobile banking, and 28 convenient locations to enhance your financial services experience. With the same friendly faces and commitment to community you already know. Fleet management. Business management. We’ll take care of it. Managing your fleet day to day is hard enough. Anticipating the future? That seems impossible. But that’s exactly how we do it at Enterprise Fleet Management. By combining analytics and our account managers’ industry expertise, we keep an eye out for what’s on the way – and how to make the most of it. Welcome to GREEN Mechanical Services ... no job is too big or too small Did you know that being GREEN can be financially rewarding? Some of today's newest appliances offer impressive energy savings at little or no extra cost. And there may be rebates or other utility and tax incentives to help make your decision easy and save you money! Our goal is to provide every residential, commercial and industrial customer with prompt and professional service while offering options that will have a positive impact on our environment through energy efficient equipment and green products. 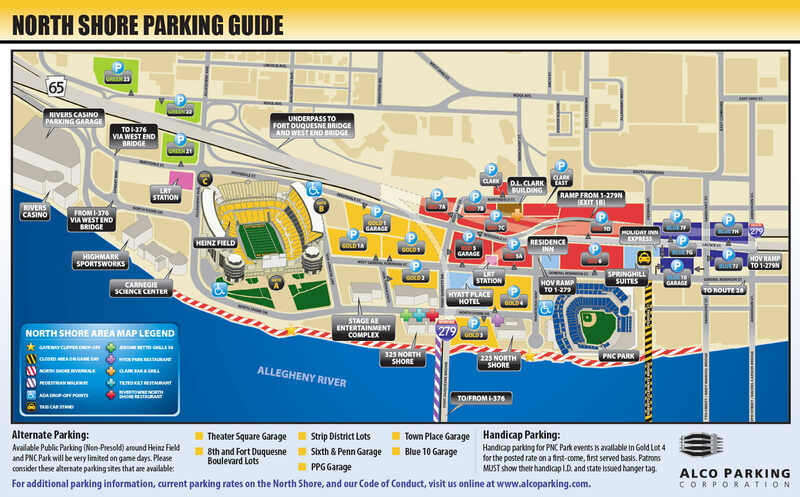 Stage AE is Pittsburgh's premier live music and special event venue. Located on the North Shore, between Heinz Field and PNC Park, their indoor/outdoor concept offers flexible event space as well as incredible Pittsburgh views. It is fully equipped with state-of-the-art lighting, acoustical systems, and an innovative reversible stage. Please note that all guests entering the Stage AE facility will have to walk through metal detectors and all bags will be searched. Thank you for your cooperation and patience as the Stage AE team members work diligently to ensure guest safety. No Bad JuJu is a dynamic 8-piece powerhouse, blending an eclectic mix of classic R&B, Rock, and cutting-edge contemporary music into their signature style. The band is a handpicked ensemble of the area's top talent; the bands' collective experience ranges from The Rock 'N Roll Hall of Fame to Broadway, with most members having recorded and/or performed with top name national and international acts. No Bad JuJu has established itself as one of the region's hottest and most popular acts. 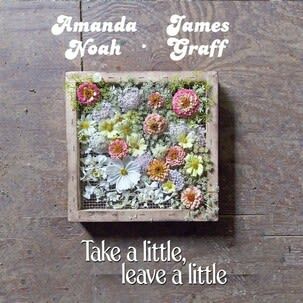 Acoustic duo Amanda Noah and James Graff offer their soulful spin on crowd favorites and originals from their recently released album Take a Little, Leave a Little. This album is the first collaboration between singer/songwriter Noah and guitarist/songwriter Graff. An energetic mix of classic rock, soul, blues, and Americana, the album is full of honest music made from an honest place. Featuring six original compositions, plus an innovative take on the John Prine classic "Angel from Montgomery", Take a Little, Leave a Little is a joyful celebration of all the best elements of great American music.